We’re diligent at National Fatherhood Initiative® (NFI) about raising awareness about new, free resources—whether our own or others’—that will help you better serve dads, moms, kids, and your community. 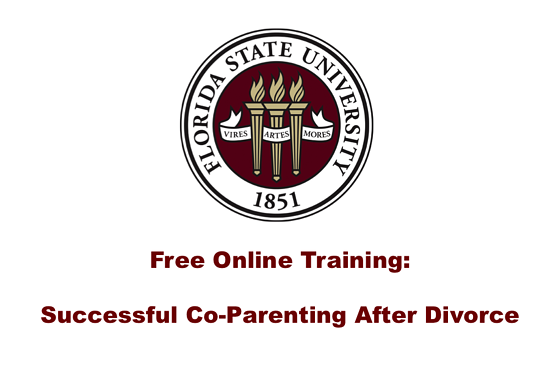 Recently, we learned about Successful Co-Parenting After Divorce, a new, free, online training developed by faculty at Florida State University. Available in English and Spanish, it applies to professionals and parents. As a result, you have the flexibility to complete the training to better inform your work with divorced parents, have divorced parents complete it, or both. Neither I nor any other staff member at NFI has completed the training; therefore, this post is not an endorsement of the training. We also can’t say whether the training applies to co-parenting in cases where parents were never married. Nevertheless, I encourage you to check it out and determine how applicable it is in your work. The FAQ page indicates that it takes 4 or more hours to complete. It could be well worth your time. And if you want to tackle co-parenting head on, check out our Co-Parenting Bundle. It includes the resources above and others that will help you effectively address co-parenting. Moreover, should you decide to use Successful Co-Parenting After Divorce in your work, you can supplement it with these great NFI resources! Have you been trained on how to work with divorced parents to ensure they co-parent as effectively as possible? Have you taken advantage of everything NFI offers to help you effectively address co-parenting?